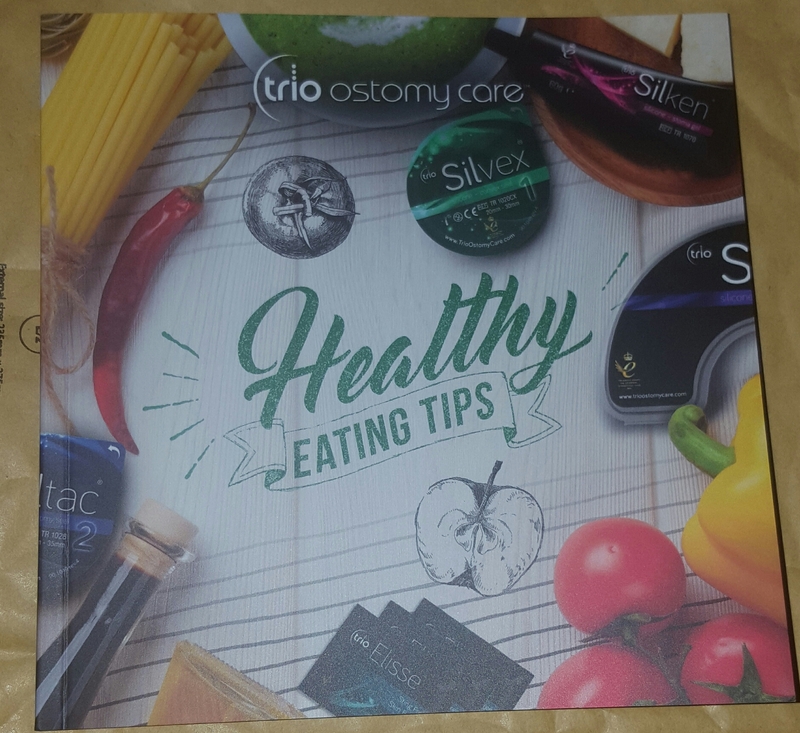 Someone in one of the support groups I’m part of on Facebook (I’m sorry I couldn’t remember which one to give you credit) shared a post on Trio Ostomy Care and how they have a little booklet on tips on healthy eating with an ostomy. 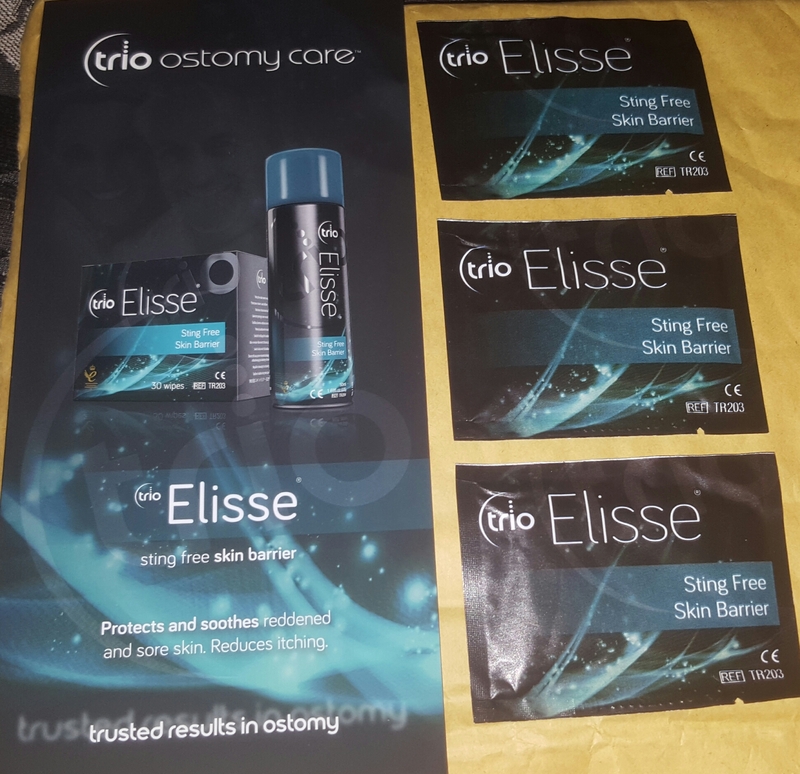 I decided to sign up for this booklet and got to choose some free samples to try. I chose barrier wipes as the sprays and creams seem to give me more hassle than relief. 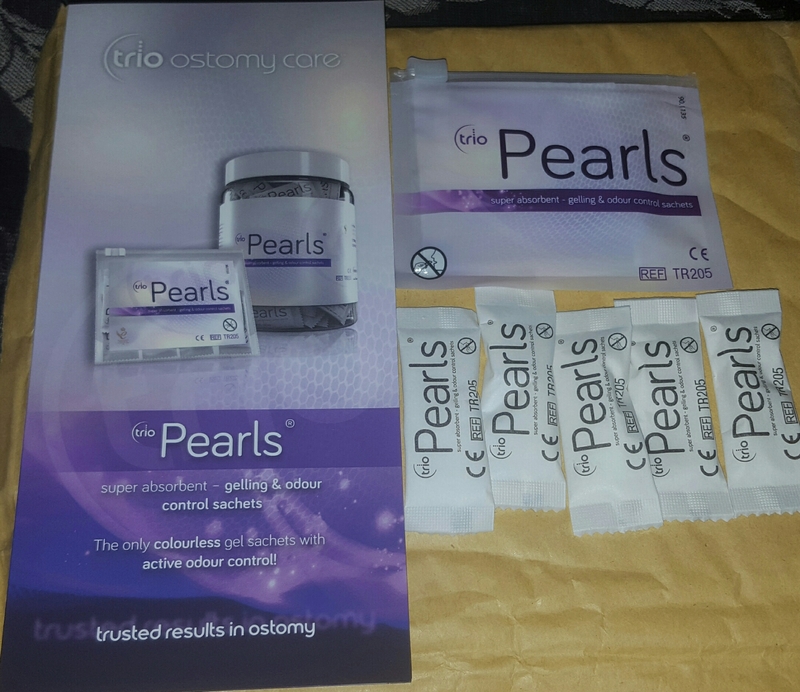 I got some pearls sachets which are kind of like silica gel that when you are having high output the little sachets thicken it up, which for me may actually be quite useful, I didn’t expect to receive these so it was a nice little bonus. I received 3 barrier wipes which I’m looking forward to trying. The booklet that came with it had a few different recipes inside and ostomates like you and me have written “recipes” which basically talk about their tips and tricks on changing their appliances etc. The food recipes are written by Mary-Ellen McTague who was sous chef to Heston Blumenthal. 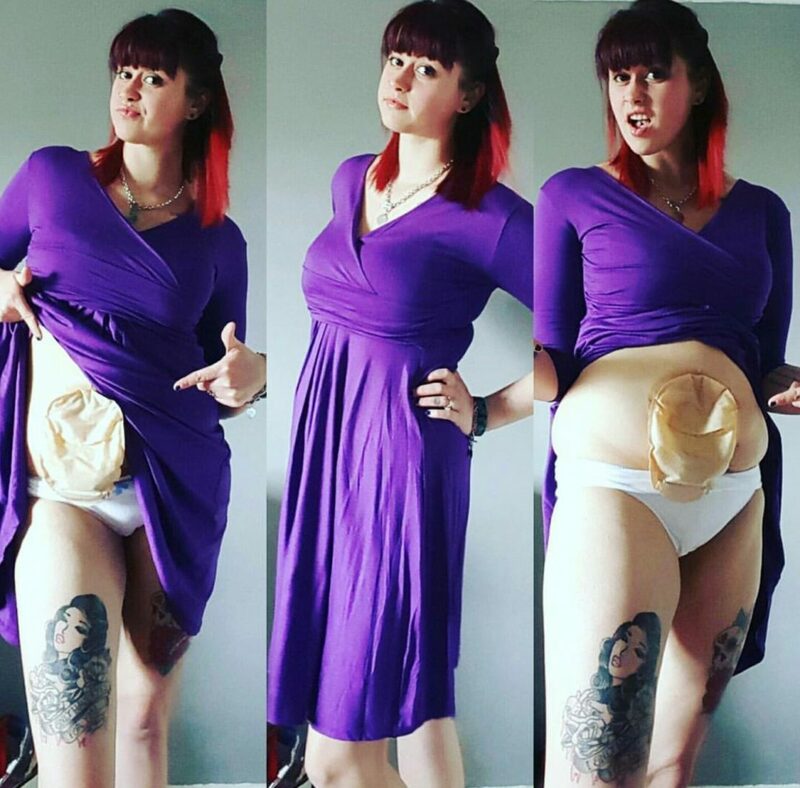 The book busts myths about different foods and plenty of helpful tips that may help the new or wary ostomate. They also give you a chance to win an apron by taking a photo of you and one of their dishes and either posting it to their facebook or twitter page with the hashtag #triofoodiemates and name the dish you have made. Here’s mine! 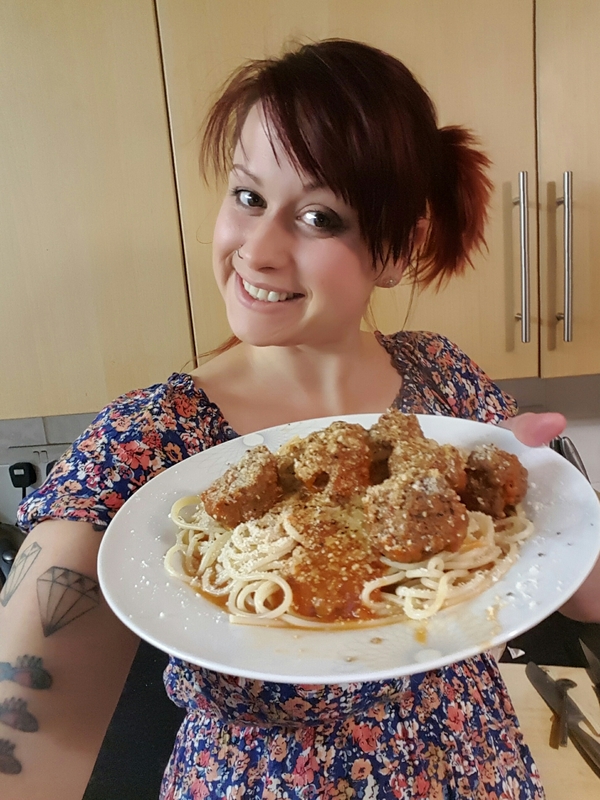 I made the meatballs. They also have a booklet called summer travel tips which when it arrives I will let you know whats in it because even though Britain got no summer you may live in a warmer climate or be a lucky so and so going on holibobs to somewhere lovely and warm.